Applicable to already discounted products. Valid for sitewide merchandises. Limited time only. The coupon code is available for sitewide eyeshadow palettes. Buy one sitewide lipstick and get one for free. Do you accept only expensive cosmetics for your face? It is understandable. But try using codes to save on your makeup essentials. Find the appropriate description, click “Show Coupon Code” and copy the appeared in the next window code. Time to go shopping. 2. At the top menu select the category of cosmetics that you want. 3. Click on the image of the interesting product. 4. Customize the product picking color, size or other tunes. At the pop-up window on the right, you can find a line with the inscription “Enter Promo Code”. Paste the found code into this line and click “Apply”. Take pleasure in your new look! Stila Cosmetics is a makeup brand, created in 1994 by a professional makeup artist Jeanine Lobell. Stila offers women a laid-back style to beauty. It is well known for creating high quality, professional cosmetics that are easy to apply. Recreate your favorite runway looks with wearable foundations, eye liners, eye shadows, blushes, lipsticks, mascaras and more. Stila encourages women to celebrate their uniqueness and make their own beauty rules, beginning with makeup. Get Stila makeup tools for an easier application and smoother finish. 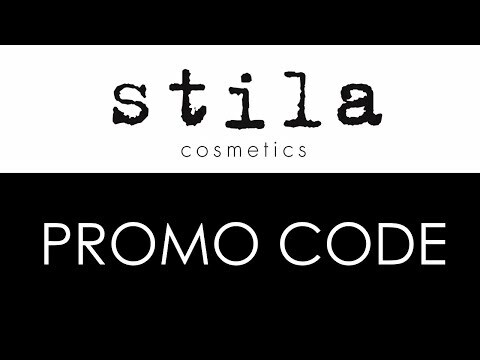 Stila cosmetic palettes and sets can be presented as gifts to any woman who loves non-intimidating makeup. Be your own kind of beautiful.